I may need to tread lightly here. I expect this could be a touchy subject, but I believe something needs to be said. Maybe there will be counterpoints, or maybe there will be a general agreement. Maybe I will change your mind, or maybe you will change mine. Who knows? There’s really only one way to find out, and that is to just put it out there for discussion. 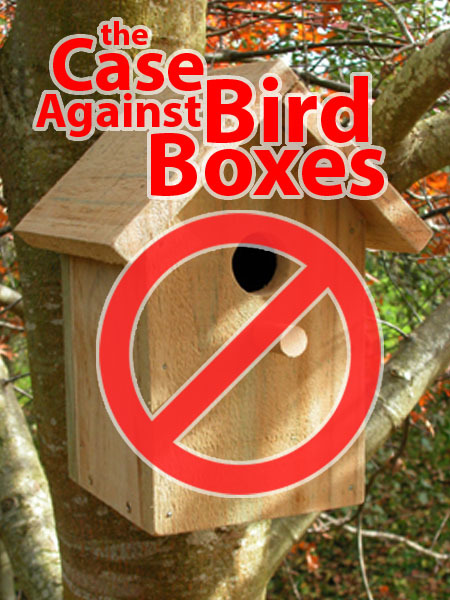 In this article I am going to make the case against building and hanging nesting boxes in public nature areas. Let’s see where this goes. A typical bird box in a typical location. This particular unit has been fitted with a predator-deterring baffle. 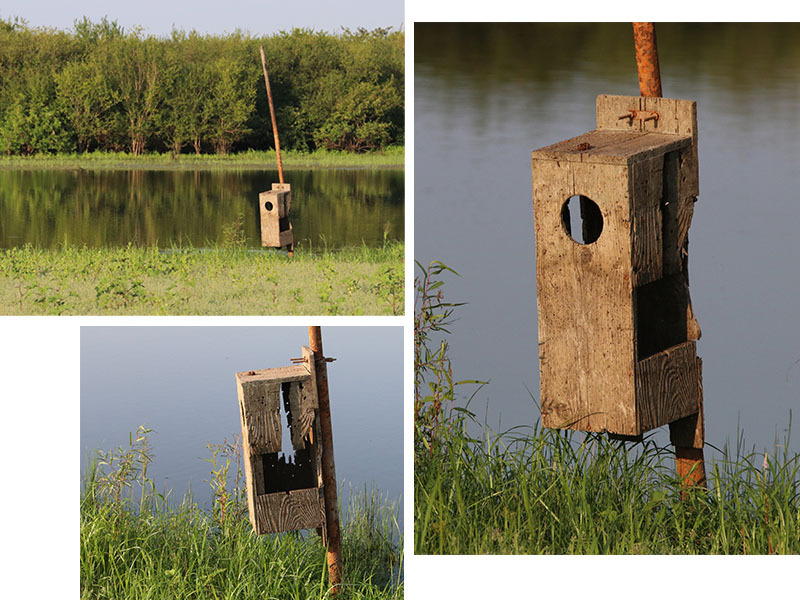 Bird Boxes, as their name implies, are boxes constructed by people for use by cavity nesting birds. They are typically built of wood, and come in a variety of sizes depending upon the species of bird being accommodated. A hole is made in one side to allow access the the interior. The idea is to model a natural cavity such as a crevice, knothole, or woodpecker hole. 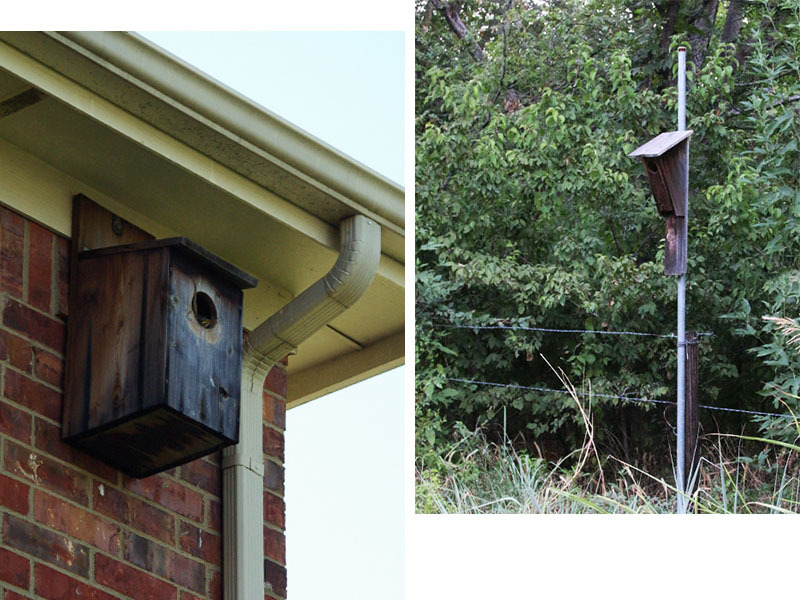 Nesting boxes can be hung on trees or mounted on poles. In some situations bird boxes can be vulnerable to predators. To guard against this, boxes are often fitted with additional protection in the form of baffles meant to exclude climbing animals. Nesting boxes are certainly always hung with the best intentions in mind. Building and mounting these kinds of boxes is a common project for those who are outdoor and nature oriented. Beginning naturalists often get their introduction to the natural world with projects involving nesting boxes. The benefits of bird boxes are thought to be many. The idea is to provide safe and relatively predator proof places for birds (and sometimes other animals) to nest and raise their young. 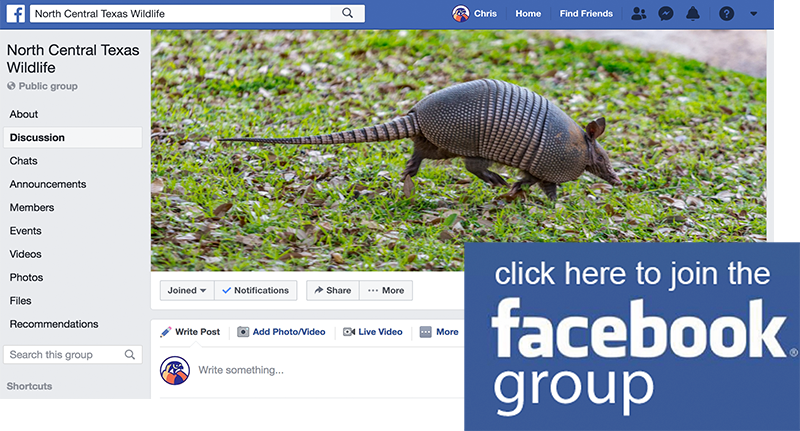 What could be better than creating a little haven for wild animals to raise their offspring? Surely this is a noble pursuit. 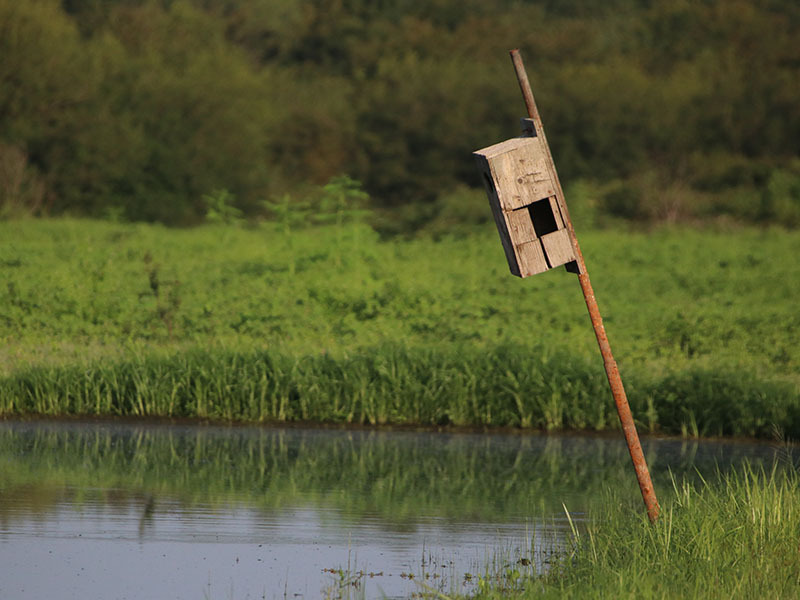 In places where natural features are lacking, nesting boxes may actually enhance the environment by providing refuge and promoting wildlife diversity. In other places, however, they are likely superfluous and unnecessary. But just being unnecessary is not the real issue here. So, what IS the real problem with nesting boxes? Well, simply stated, bird boxes are intrusive and unnatural in appearance and therefore they visually distract and detract from any natural environment they are set in. Further, when fitted with a predator deterring baffles nesting boxes can create auditory problems as well. The baffles clank against the mounting posts like clappers on a bell. This adds an unnatural metallic sound to the environment in places already intruded on by far too many man-made noises. 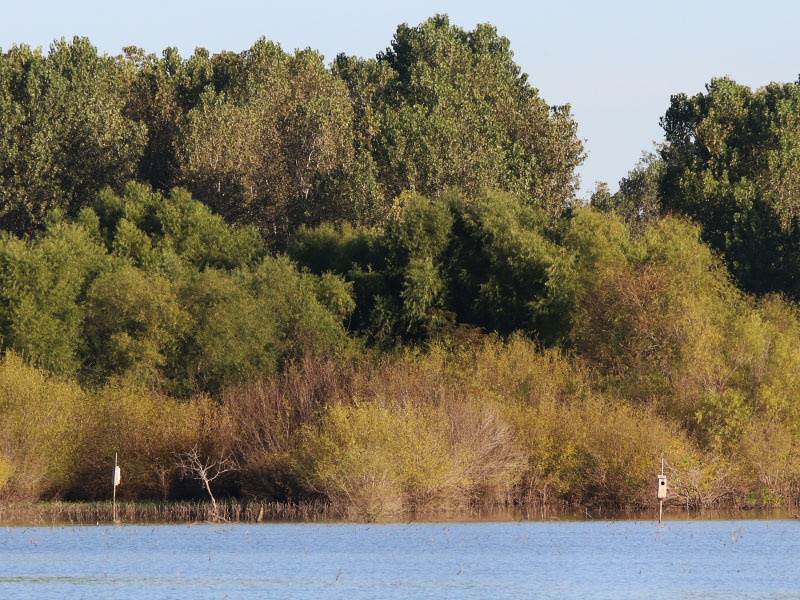 Imagine the beauty of this scene without the intrusion of the nesting boxes. 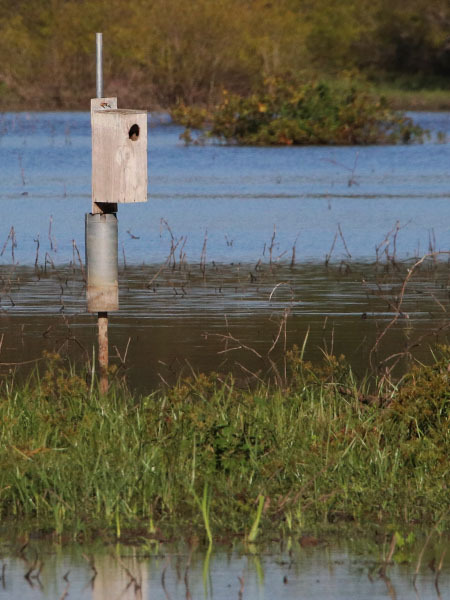 The worse case—and unfortunately very common case—is when installed nesting boxes are allowed to fall into disrepair. Bird boxes, once mounted, are often forgotten about. The ravages of time take their toll and the boxes become dilapidated. 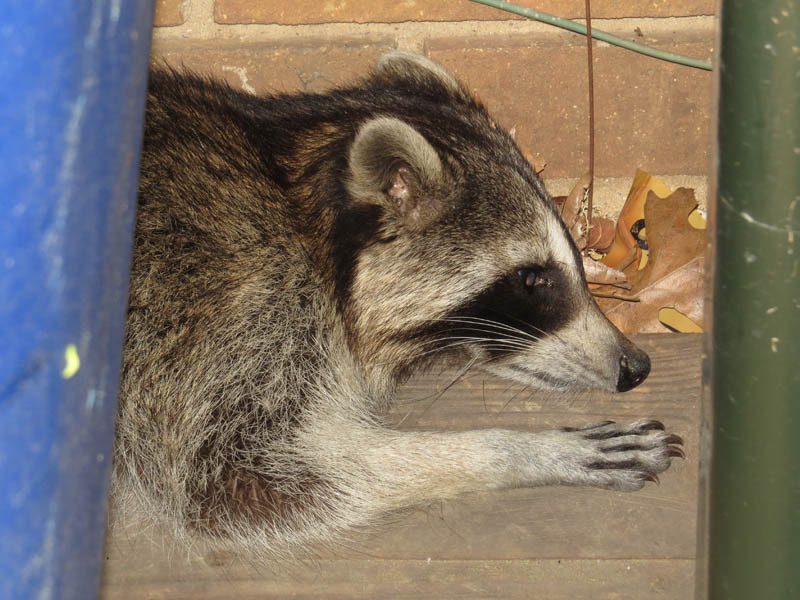 When allowed to fall into disrepair nesting boxes no longer benefit wildlife. In this condition they are little more than eyesores at best. At worst, nesting boxes that fall to the ground become litter and refuse that must be cleaned up and removed from our wild areas. I’ve spent the last couple of years collecting photographs to help make my point. A leaning post and missing pieces renders this nesting box useless. 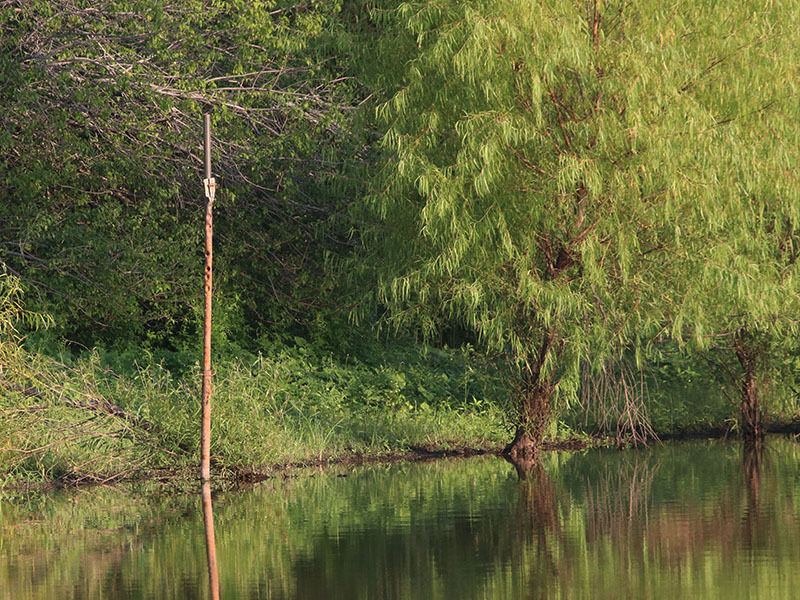 The wooden nesting box at this location is long gone, leaving behind only an unsightly rusting pole in an otherwise pristine area. The mount on this nesting box has failed. The box has been vandalized and is now too near the ground to be of use to wildlife. So, how do you salvage the benefits of nesting boxes while eliminating the problems? There may be a couple of things that can be done. Here are two suggestions that might help improve the situation. The first option would be to simply design, build, and hang less intrusive nesting boxes. Boxes could be built in organic shapes with materials textured and colored to help them blend in with the surroundings. Locating nesting boxes in places not easily seen from well traveled paths would benefit both the human sightseers and nest box occupants alike. Bird boxes on the ground are of no use to people or animals. Nesting boxes in disrepair are eyesores in a natural environment. This is litter, plain and simple. The second part of the solution would be taking long term responsibility for bird boxes placed in the wild. My contention is that when someone sponsors the creation or mounting of these boxes, they should also be prepared to take ownership of their lifetime care and maintenance. 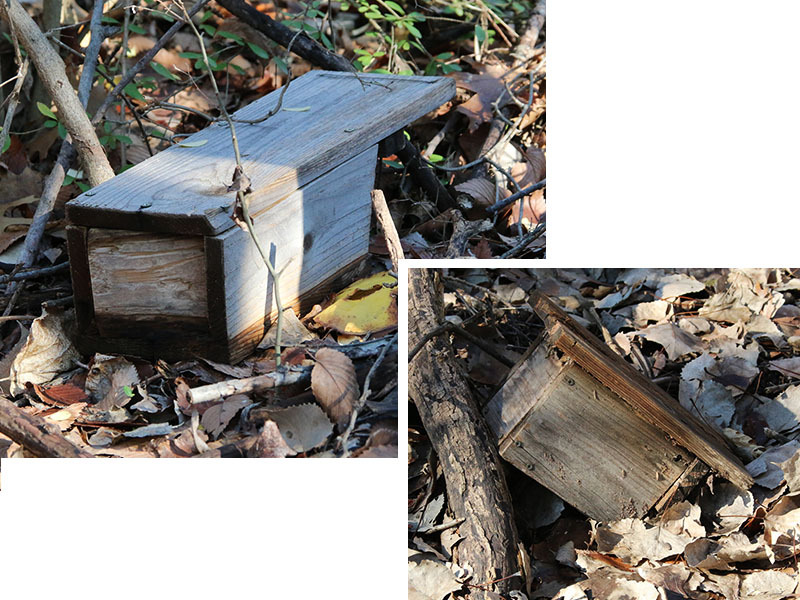 Boxes that are allowed to become ramshackled do not benefit wildlife and they do not benefit the public. They are, in a very real way, pollution and eyesores. Let’s consider carefully before installing more. On the left, a bird box that is in decline. The pole is leaning and the box is unsteadily mounted. On the right, is a bare post with the nesting box missing. This is pollution. The nesting box has long since rotted away. 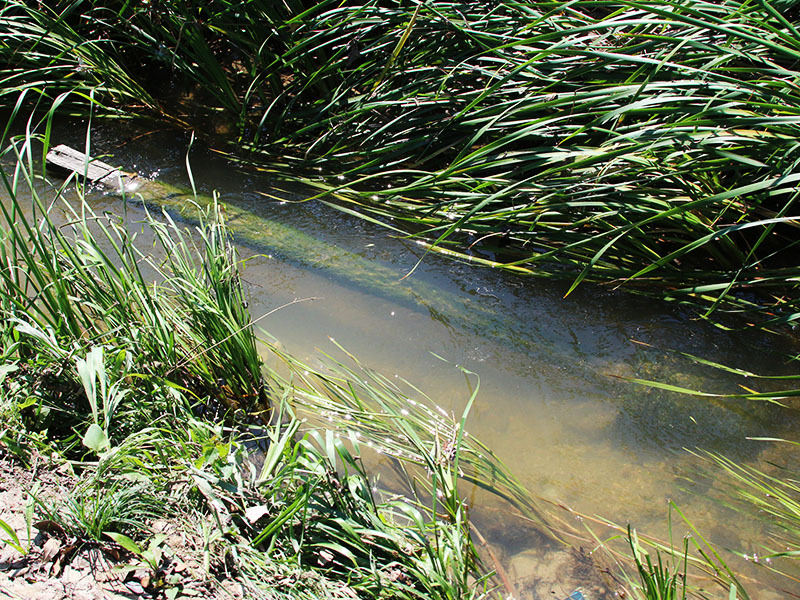 Now this mounting post and its concrete base lay in this stream bed indefinitely. What do you think? Are you with me or against me on this one? Let me know in the comment section below! Next Next post: And Now for Something a Wee Bit Different . . . Scotland, October 2016, A Wildlife Diary. Fabulous article as always and right on point! I think nesting boxes, in their proper place, are invaluable to our native wildlife, but the problem for me is maintenance. As you said, in a public place, nobody wants to take responsibility for the box long term. I rarely see a box that is in great shape let alone being used out in parks and nature areas though I must admit, there is one natural park I frequent that does maintain them, they do a great job AND the bluebirds DO use them. It would be ashame not to have them in this park so that being said, there are exceptions. In my opinion, they should not be in a nature park or preserve unless they are extremely well maintained! Instead of new naturalists making boxes for a preserve and installing them, why not lead a class for the public on how to create the proper box and hang it? I for one would attend that! Well-argued, balanced and thoughtful. Thanks for making me think about something I’m not accustomed to devoting much thought to. Interesting, well thought out article. Though the concern pales beside such environmental problems as habitat loss and global climate change, you make a meaningful case for more careful consideration of whether and where to put up nest boxes. It appears that maintenance is the issue. Entities that install the boxes, whether public (parks departments, conservation agencies), private (non-government agencies, individuals), school groups, or anyone else should take long term ownership and maintain the boxes, or remove the boxes when no longer needed. Are you aware of boxes being placed where there are adequate resources for cavity nesters? I have seen that in some locations. 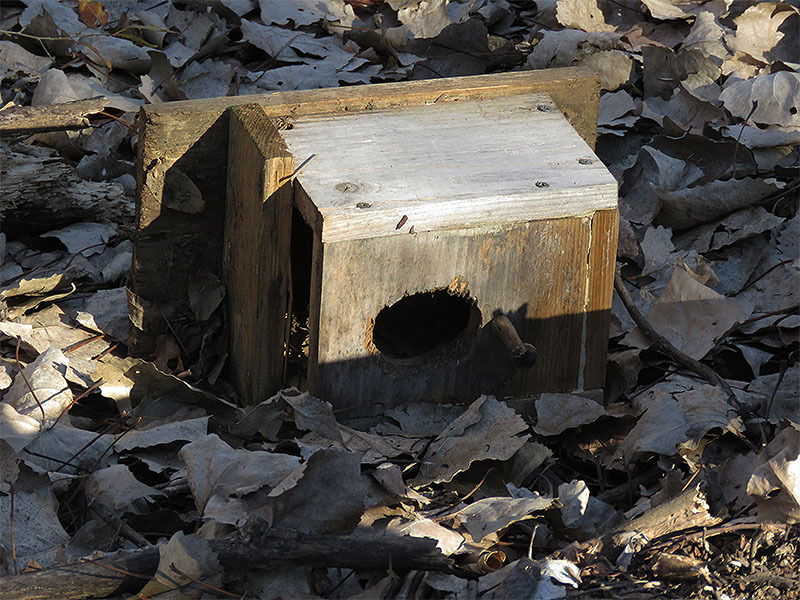 I think that most boxes erected by private landowners are placed more because the individuals want bluebirds, or nuthatches, or flickers, or owls, or bats on their property rather than out of a particular conservation concern, the same thing that motivates them to feed birds and other wildlife. When I bought my current property it contained several of the sort of “bird houses” that naive people often put out, complete with pegs for perching (not recommended at all), and painted in bright colors with a floral motive. Since I like nut hatches, I took the houses down, removed the pegs, painted them a natural brown color to blend in, and relocated them Nut hatches used two of them this year, and raised two broods in each. However, an acquaintance, who is a retired wildlife biologist, simply modified a couple of trees near his house by initiating cavities himself by drilling. The birds did the rest. 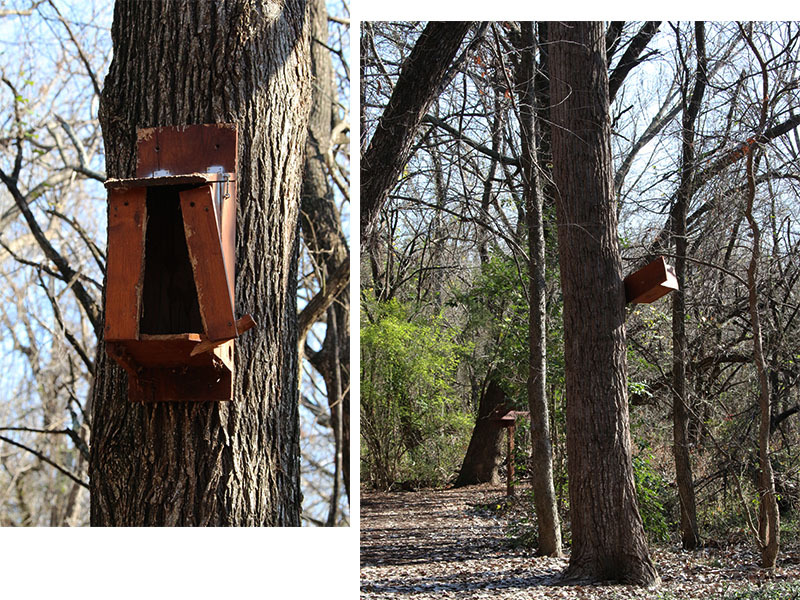 I also put up bluebird boxes, made with cedar wood, unpainted to weather naturally. I hoped to attract either Western Bluebirds or Mountain Bluebirds, both of which are common here. 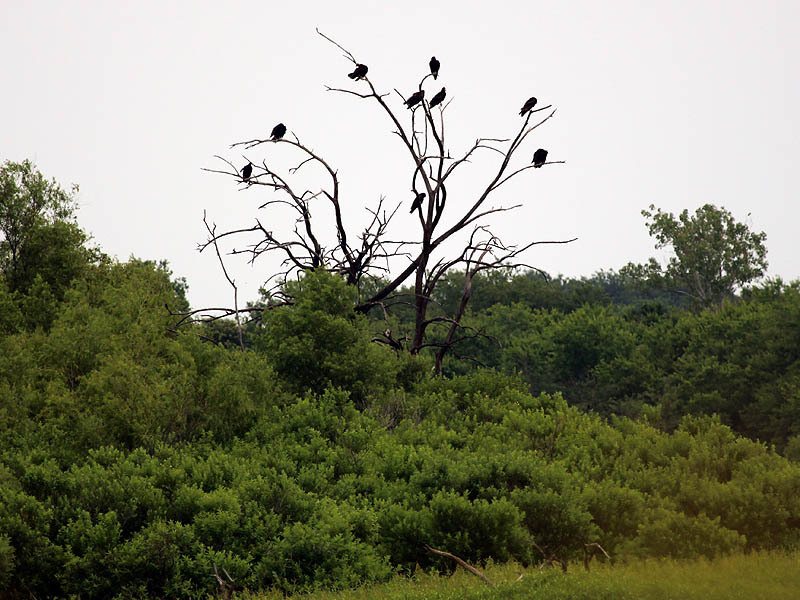 My motive was not conservation, as the birds seem well supplied with nesting cavities, but simply to have them on my property for observation. 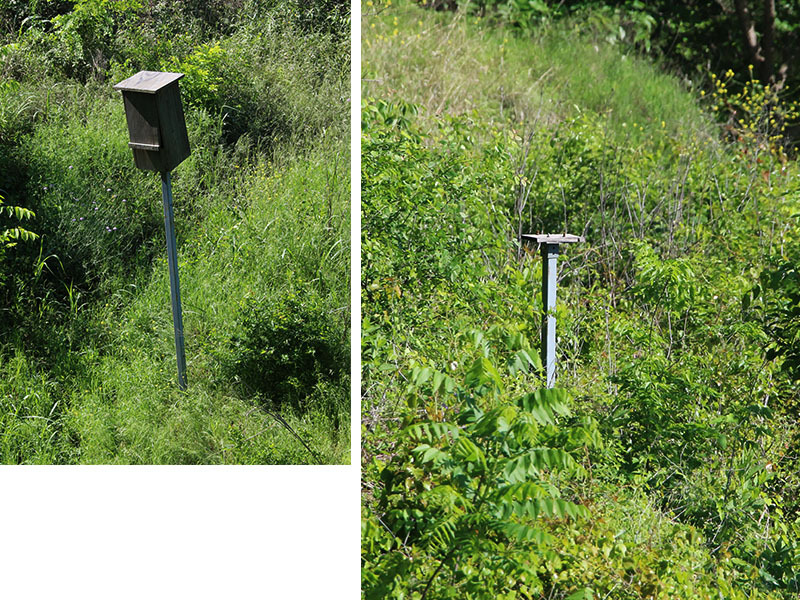 Western Bluebirds explored both boxes repeatedly, but selected distant locations for nesting. There are not only plenty of snags and a couple of old barns in the area, but literally tens of nest boxes within a mile of my property. No augmentation needed, but people still put up boxes. I keep mine in good condition, along with the bat boxes I’ve also installed. Even some damaged boxes might be serving for ground dwellers like voles and reptiles. Though I don’t have the references at hand, there are substantial data that support that nest boxes have been an important factor in the repopulation of some areas by Eastern Bluebirds. I am a avid Bluebird person who does provide and has maintained Bluebird boxes for years. 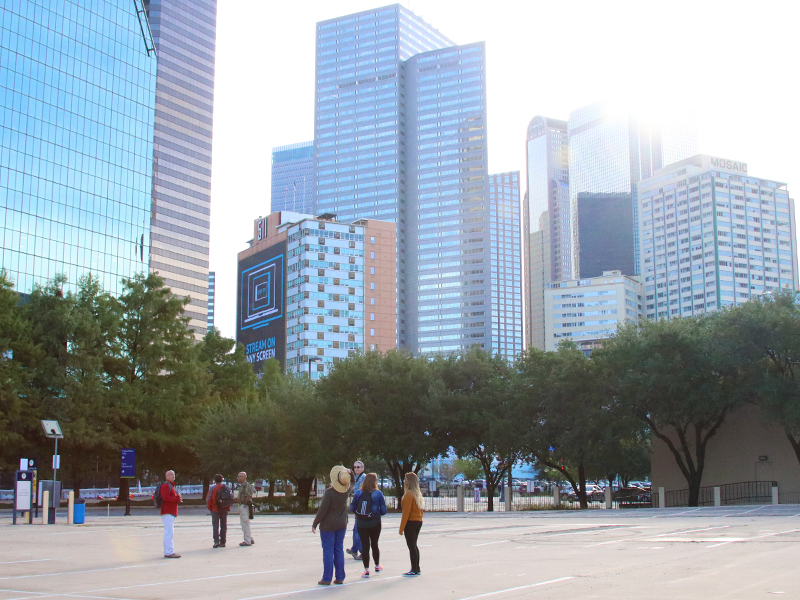 For awhile, Bluebirds were dwindling in population in Texas. I respect your point, but I can show you photos of well-maintained boxes and the joy of watching Bluebirds grow and keeping them safe from critter. for all the people that decide not to maintain the boxes, there is another half that do.